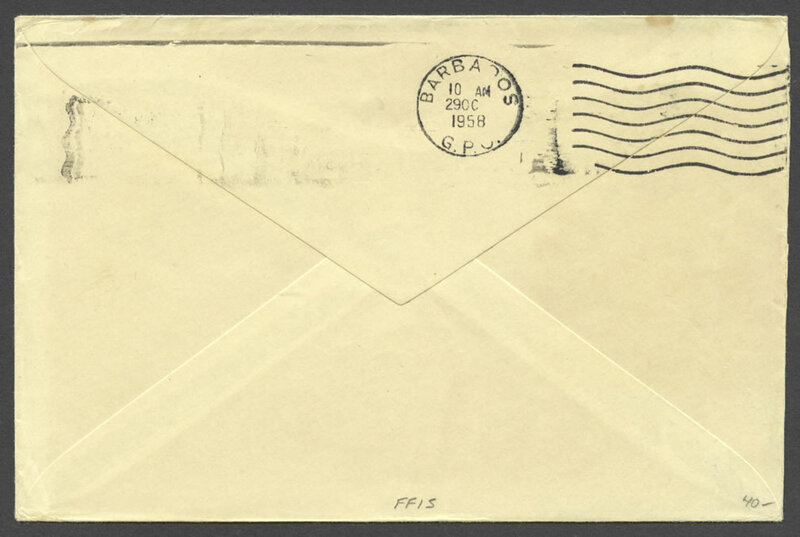 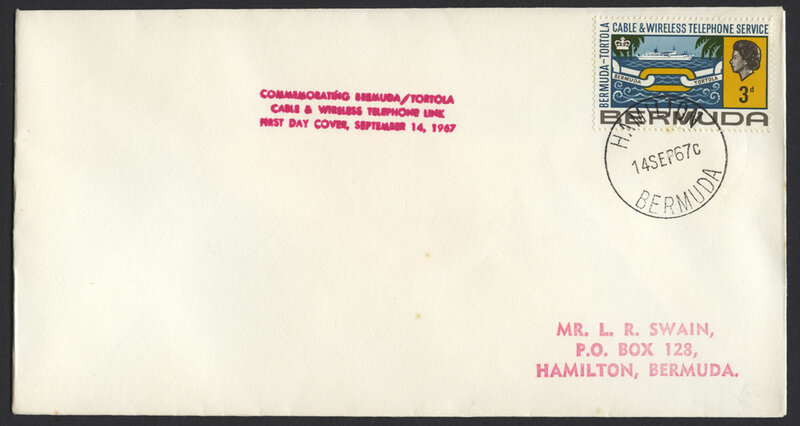 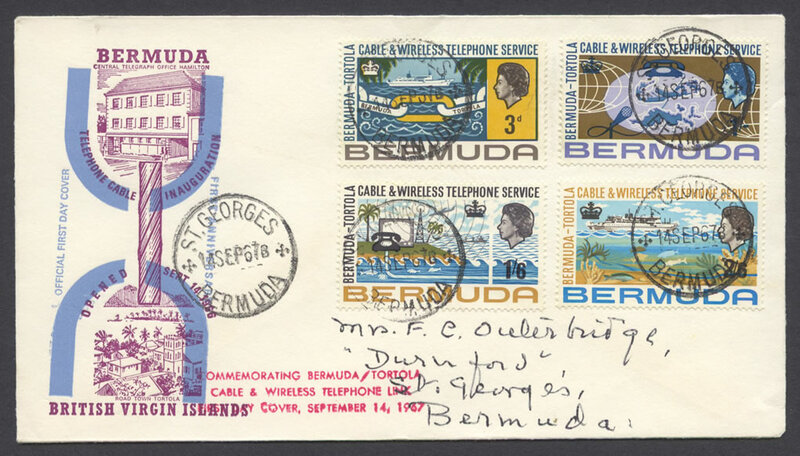 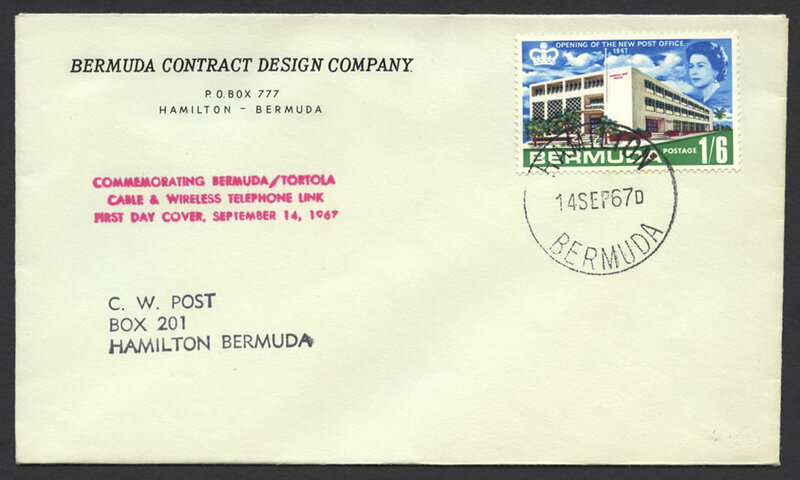 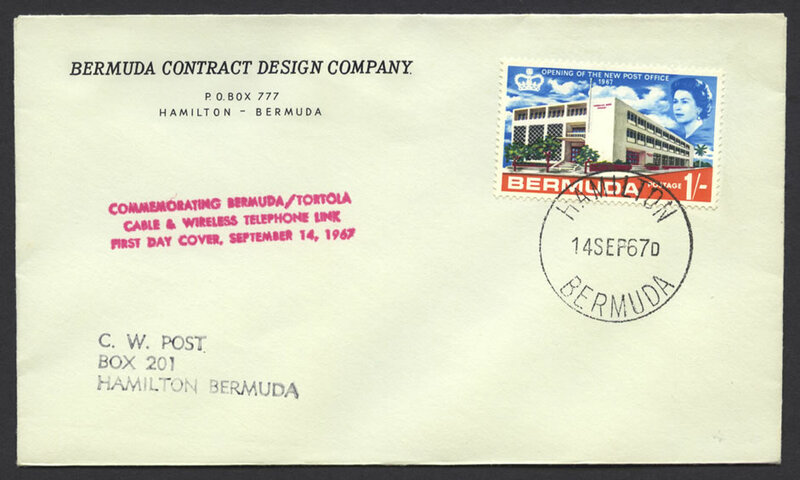 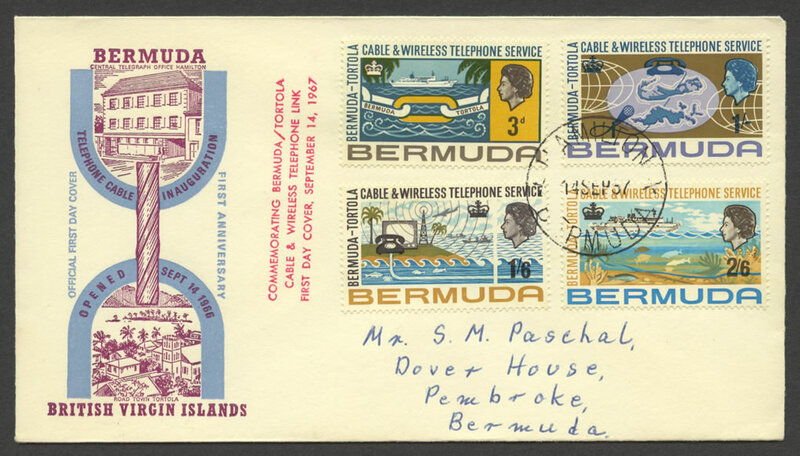 Cachet: OFFICIAL FIRST DAY COVER FIRST ANNIVERSARY TELEPHONE CABLE INAUGURATION OPENED SEPT 14 1966 / BERMUDA CENTRAL TELEGRAPH OFFICE / ROAD TOWN TORTOLA, BRITISH VIRGIN ISLANDS. 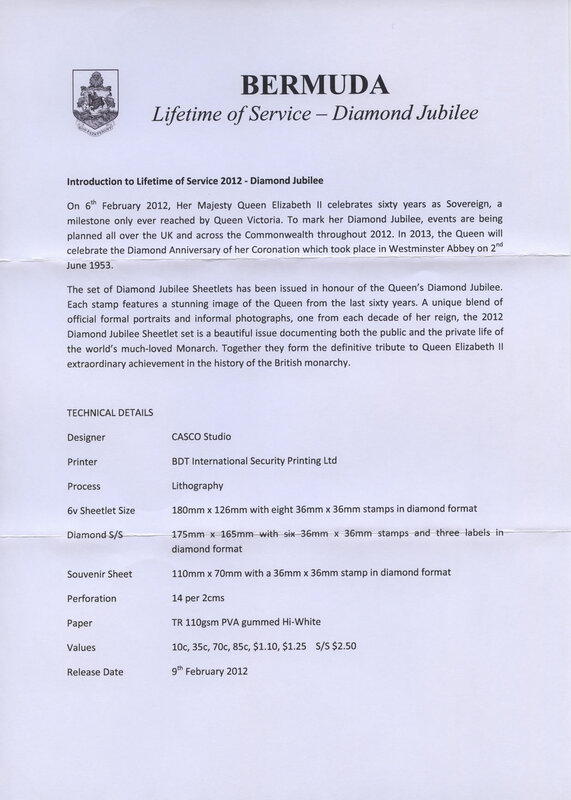 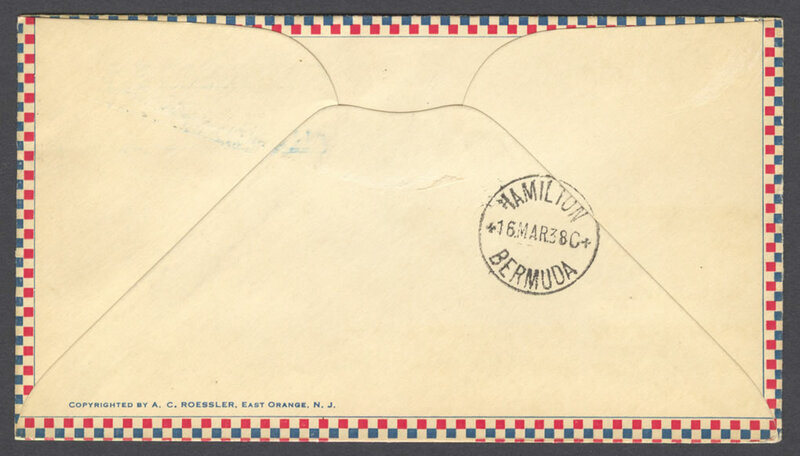 Cachet with light blue ink printer error. 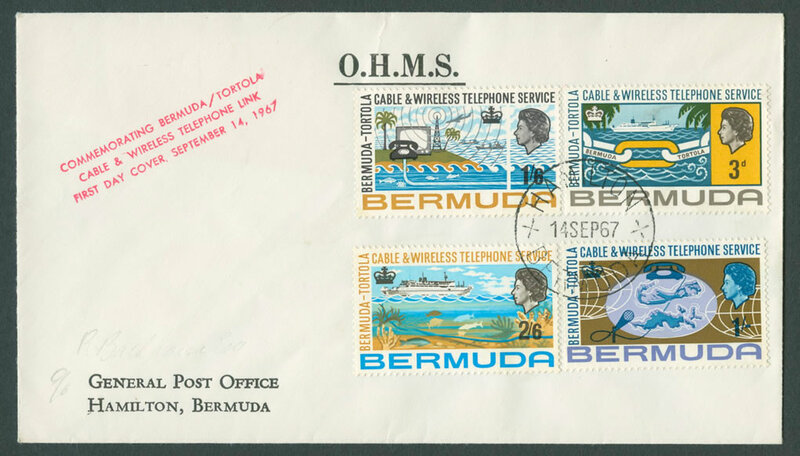 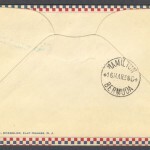 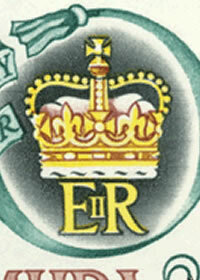 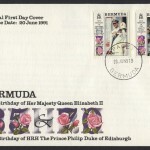 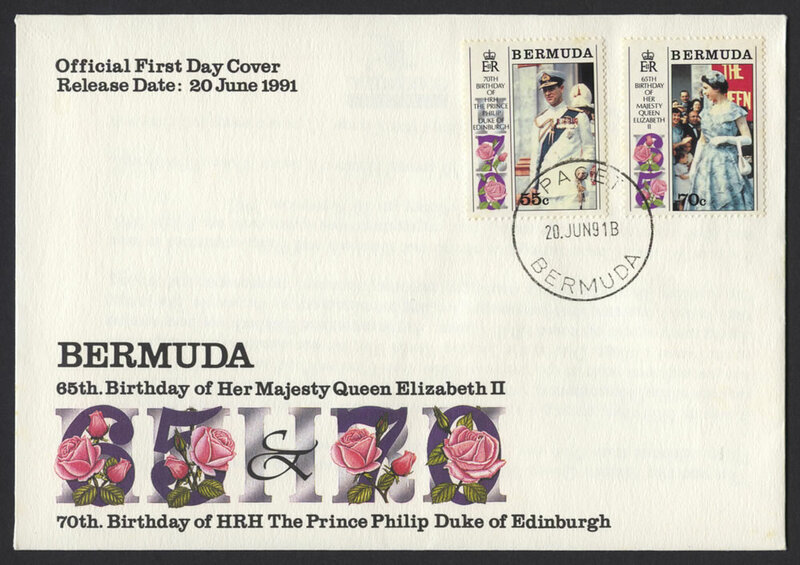 Two “First Day Covers” with the incorrect stamp Opening of the New Post Office stamps rather than the correct Cable and Wireless Telephone Service stamps. 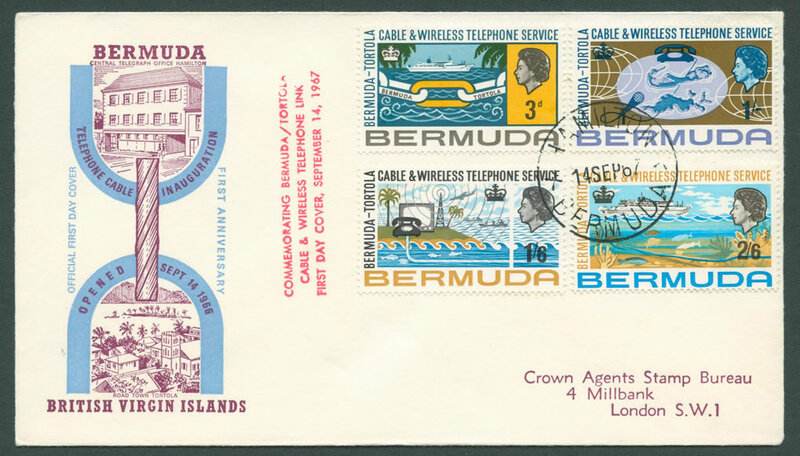 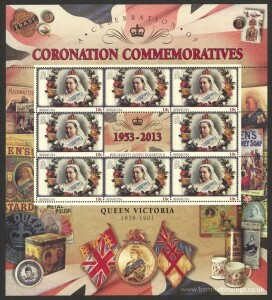 This first day cover commemorates the same anniversary from the other end of the cable! 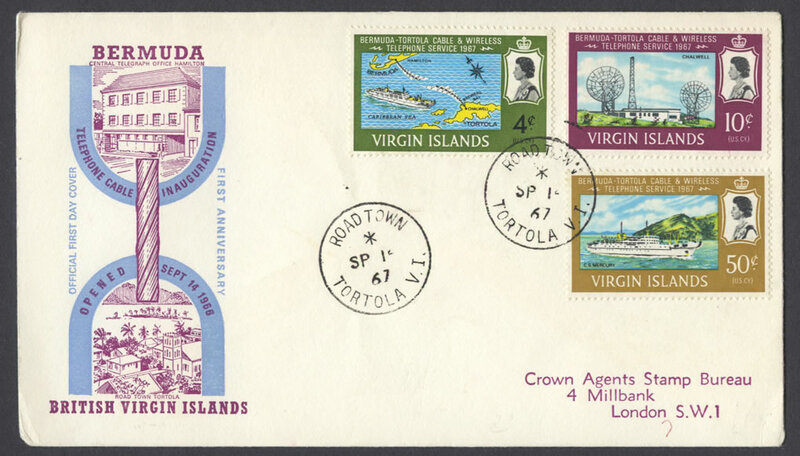 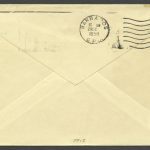 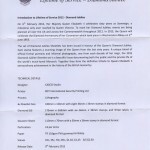 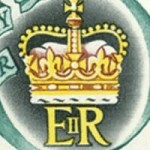 CDS: SP14 67 ROAD TOWN TORTOLA V.I.